Leave it to the greatest rock band of all time — Bob Dylan dixit — to have the greatest 404 Page not found error page of all time. Yes, better than all these or this one. 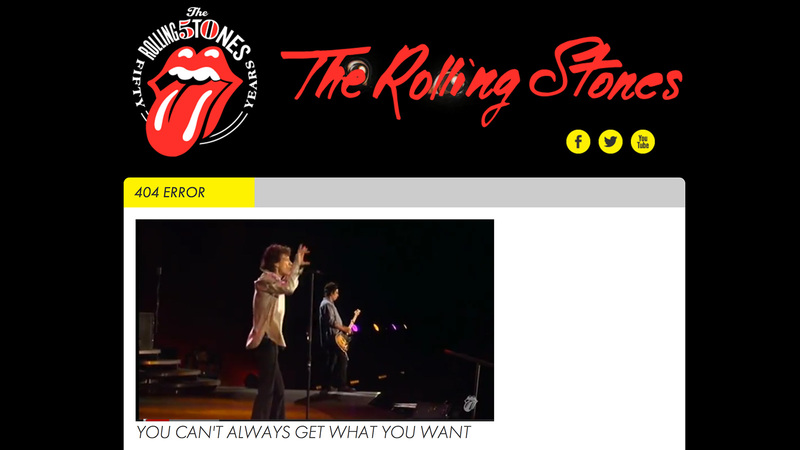 Heck, if I'm not going to get what I want, let me at least watch Mick, Keef, Watts and Ronnie masterfully playing one of the best songs ever, recorded at Twickenham Stadium, London, during their 2003 Live Licks tour. 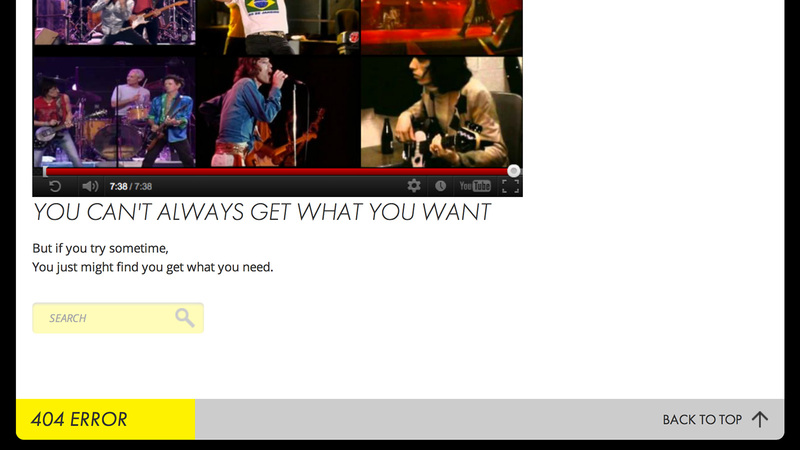 Of course, it's an awesome error page because it's in the Rolling Stones' website. But that doesn't make it any less great.